Today I have come across one very good reference material for garment and textile professionals. 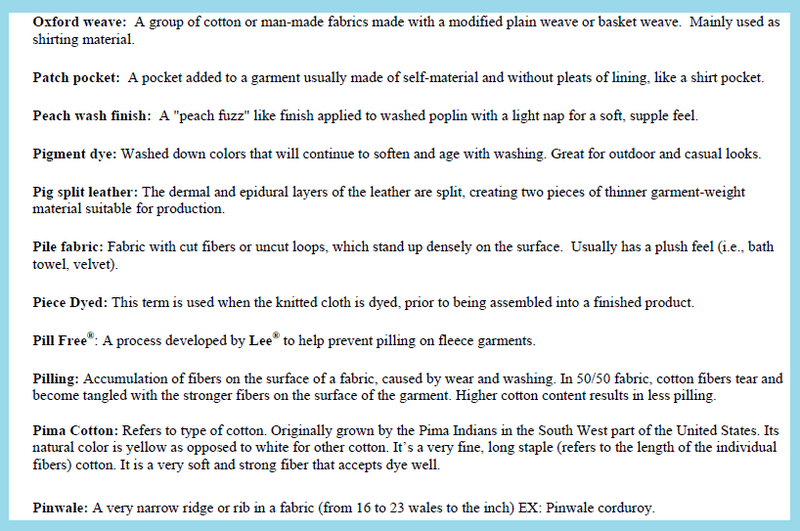 A glossary book with hundreds of Textile and Garments terms. You would love to download and save it. This is a very helpful booklet for beginners as well as for experts who are working in the apparel industry. The book contains terms of yarns, fabrics, fabric processing, knitting, knitted fabrics, apparel manufacturing, product definition, apparel business, different process fiber to fashion etc. I would suggest each merchant to download and read this 16 page booklet. Other professionals are also welcome to download this. Who knows when you need to define some new fabric name, product styling. Purpose of sharing this content is just to make you a more learned person. I feel happy when you learn from sharing such good things in OCS. You can also take part in this process by sharing good resources with your colleagues and friends or share it with us at OCS. If you learn something new from this document please share it with us. 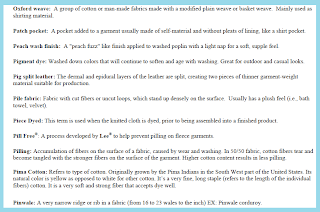 An extensive guide for Textile and Apparel Terms. Must have document for fashion students and fashion professional.